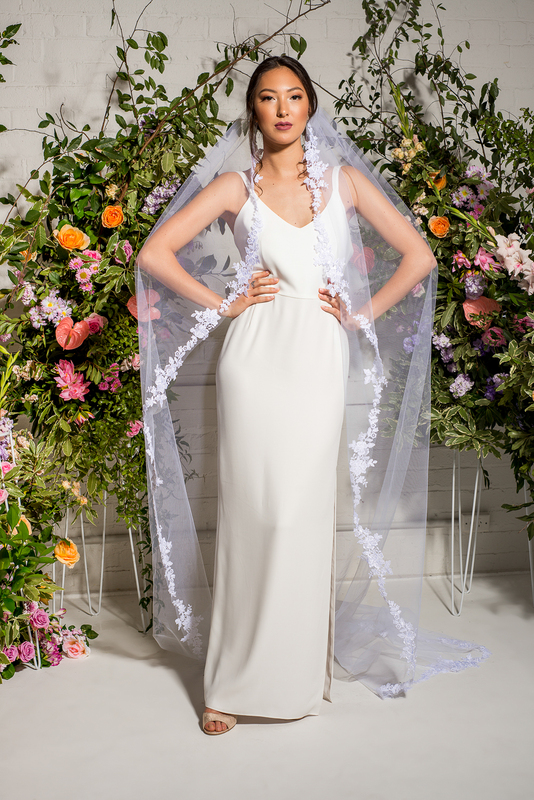 Let’s start with Lola Varma, a fashion bridal brand making waves in Australia, New Zealand and further abroad. 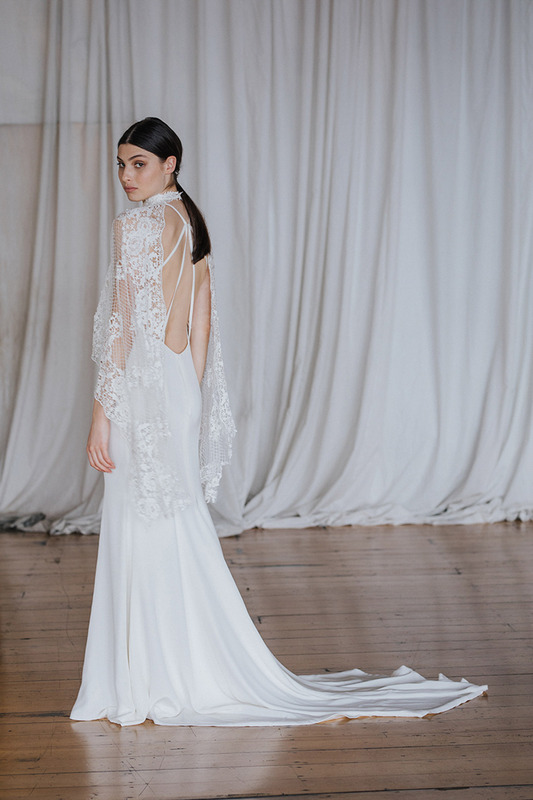 Designer Courtney Illfeild describes her collection as Bridal for the modern day minimalist. Its timeless but feels fresh and new and unlike anything else, we have seen in the market. We are big fans. HQ is based in Perth but they have stockists and pop-ups peppered around Australia, New Zealand, Europe and North America. 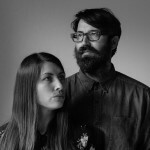 And if you can’t make any of their pop-up locations the team at Lola Varma can, and often do help brides online. Our two current favourite picks from the latest BONAFÉ collection are the Rosily and the Vincent gown – which you have hopefully already seen gracing the pages of issue 14 of Together Journal in our Flora fashion editorial on shelves now. If you want to find out about a Lola Varma trunk show in your area check the Lola Varma Trunk show and stockists page. And special mention for New Zealand brides, there is a trunk show happening in Auckland very in Auckland between February 1st and 3rd. And while we are on the subject of modern brides lets talk about Juliette Hogan, who needs no introduction within New Zealand. 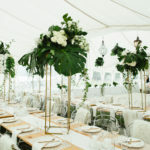 Juliette is one of New Zealand fashion icons, over the years she has produced bridesmaids collections, special occasion dresses and the odd gown for special brides alongside her mainline collections. 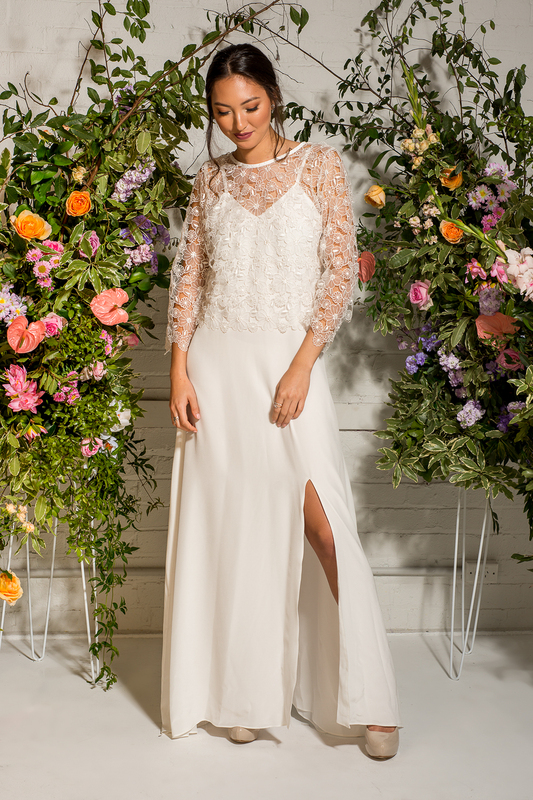 However last year Juliette introduced and officially launched a much larger bridal collection in a purpose-designed space to cater for the less fussy, stylish and pared-back bride, with a maids collection to compliment. 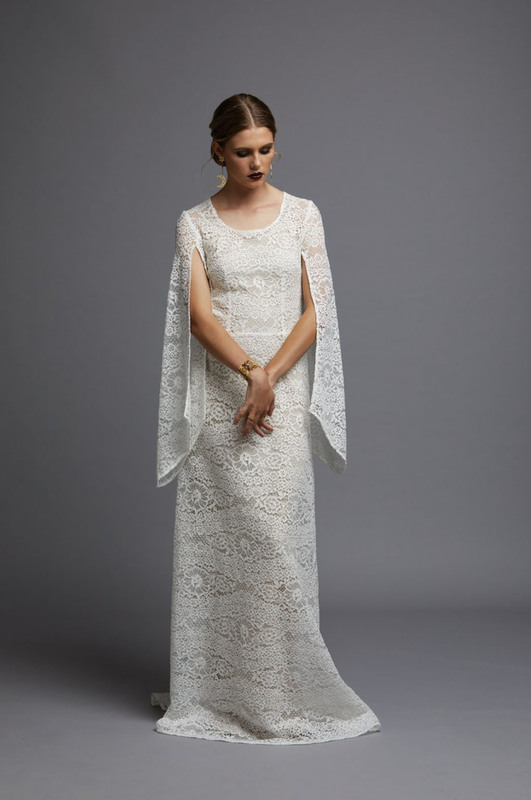 The Juliette Hogan Bridal collection reflects the simplicity and luxury synonymous with the Juliette Hogan brand. Our two top picks for now (the collection will grow) are the shorter length Mattie Dress and the elegant Pharos one shoulder gown. Juliette and Greta (our Editor) Together Journal are hosting quarterly Open Door sessions in the new Juliette Hogan Bridal space where we talk all things weddings with brides to be who are interested in the Juliette Hogan Bridal collecion. Natalie Chan, perhaps the most known and one of the most respected designers of occasionwear in New Zealand. Natalie designs for women who love the act of dressing up for a special occasion and spent 16 years designing occasionwear and millinery before launching her delightful bridal collection 4 years ago. Because of her love of texture and experience with designing detailed millenary Natalie brings something quite distinct to her pieces, she has an eye for detail and her bridal gowns reflect this in both the styling, structure and fabrics. We just adore the Anjelica and the Cleo gowns both from the latest Long Live Romance collection. And could this be the best news to hit the bridal industry in New Zealand ever? 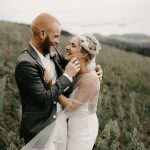 Our friends at Paperswan have recently announced that they will be the exclusive stockists of CHOSEN By One Day Bridal in New Zealand and to kick things off the are holding trunk shows in their stores in Wellington on February 2nd and 3rd and in Christchurch on Feb 8th and 10th. 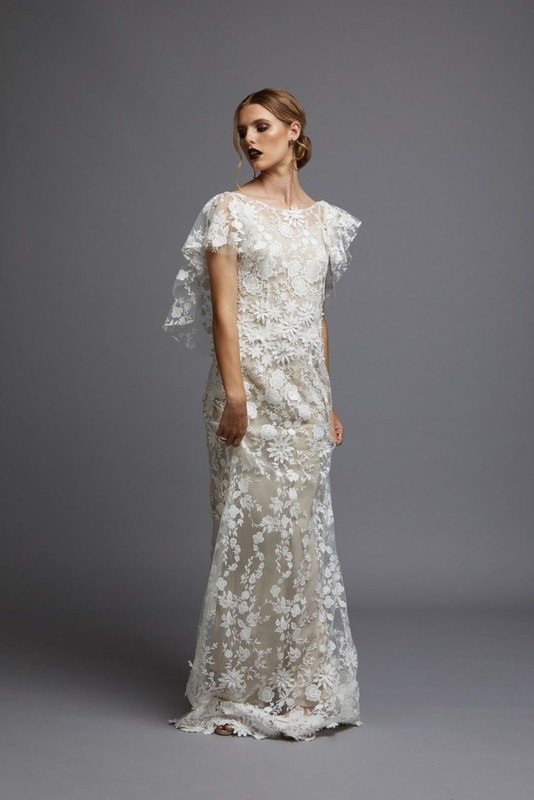 It really was hard to pick just two styles from Chosen so we have gone a little over quota, in order of appearence below we have the Fontatine, Emmerm Remy and Agata gowns. 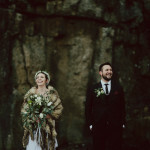 And if CHOSEN is not quite for you, remember Paperswan have more than ten hand-picked, stunning local and international collections for you to see – making them one of the very best options for bridal. 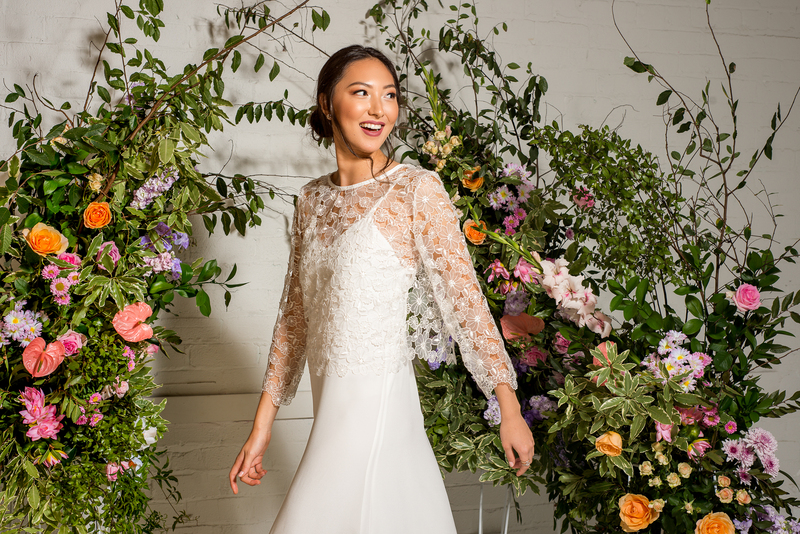 Daisy Brides by Katie Yueng is known for being a stylish but affordable option for the young at heart. They don’t do boring and they don’t try to push you into something you’re not comfortable in. 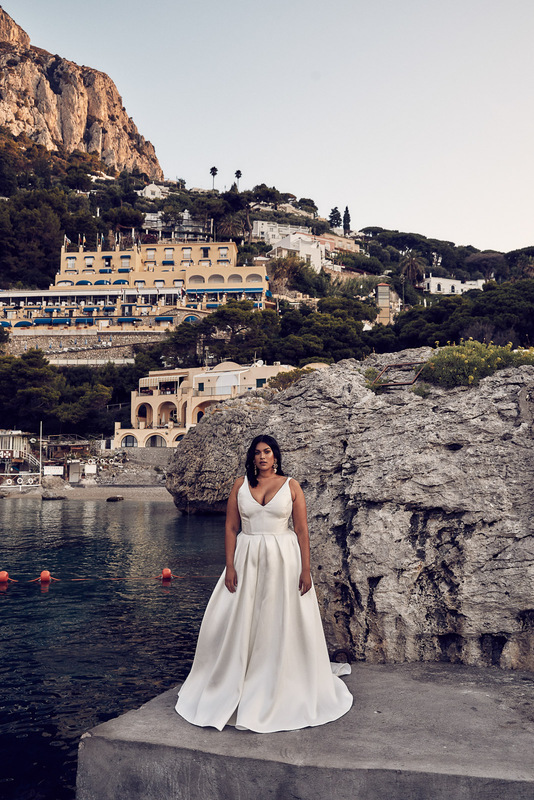 They are all about creating wearable, good value wedding dresses that make brides feel like their most beautiful, most comfortable selves. 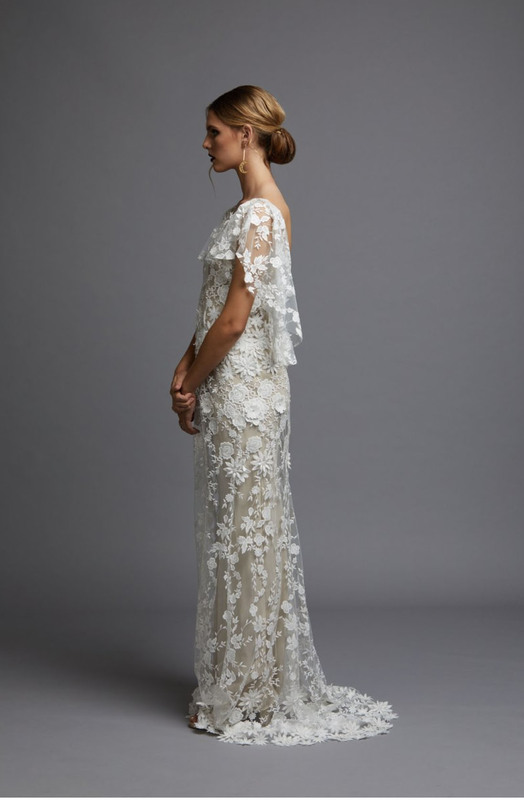 We could not go past the Camelia gown with is dramatic but safe plunge and feminine princess skirt and as a contrast to show you just how diverse and fun the collection is, our second pick is the Flora skirt and top which is laid back, cool and effortlessly chic – and could be worn again as separates after the wedding. Ceremony Collection 1 by Ingrid Starnes is the result of 5 years of development, Ingrid Starnes CEREMONY is a considered collection of romantic and elegant silhouettes that have been tested and thoughtfully refined through our custom order bridal process. Beautifully constructed and made from a stunning cloth selection featuring liquid silks, cotton silk broderie, drapey chiffon, luxurious lace and soft suiting. 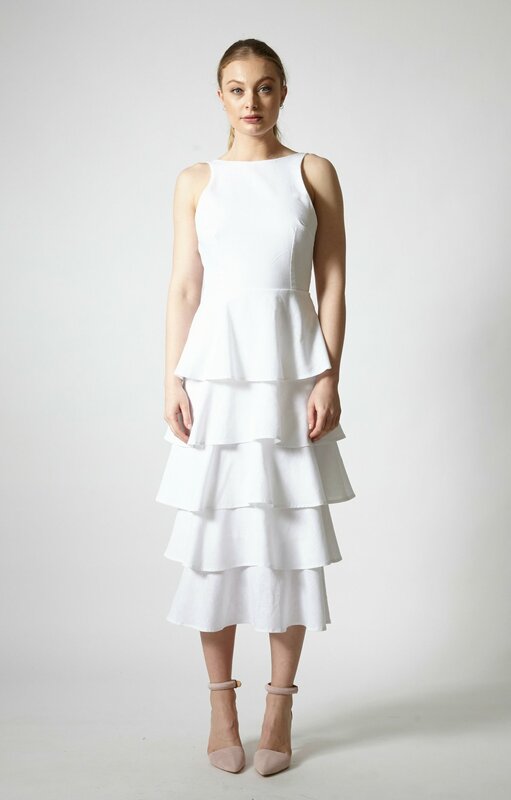 We adore the sophisticated and sleek Neptune dress and we think the Basswood Suit would be perfect for a registry office wedding or as reception attire. 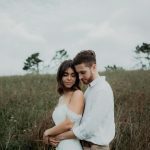 Amber Whitecliffe is an Auckland based fashion designer offering both custom made and standard size dresses, all proudly and ethically made in New Zealand – which gets the tick of approval frm us! Amber creates options for maids, mothers of brides and grooms and flower girls too. She specialises in unique custom design or you can buy from her off the rack collection. All garments are made from beautiful quality fabrics, sourced from reputable suppliers. 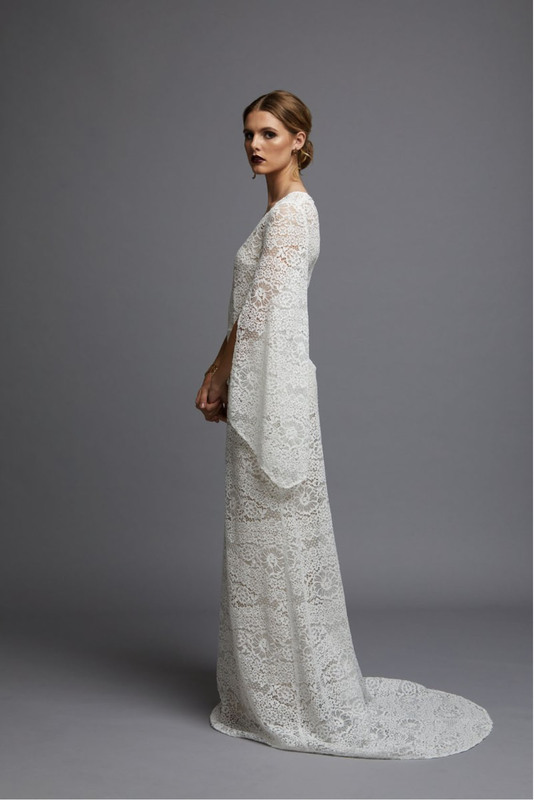 Our favourite picks are The Hudson blouse paired with the Tegan gown followed closely by the simple but sophisticated Cleo gown. Céline Rita is an up and coming New Zealand designer who you need to watch. She is dedicated to creating beautiful garments that women want to wear. Her focus is on designing clothes with an effortless silhouette, an impeccable fit that flatters the female body and that are made from carefully selected high-quality fabrics. Her clientele is a smart, modern woman who is looking for a polished, yet nonchalant look. Céline Rita is all about celebrating and empowering women. Although she focuses on maids and occasion ensembles we do love her clean and modern aesthetic and we have spotted the Florence dress and the Kush jumpsuit which we think would suit a city bride or a no-full eloping bride.